Hello, hellish fiends! You've all heard of Gina Damico, haven't you? She's the author of the not-so-grim reaper-filled Croak, Scorch, and Rogue. I, unfortunately, have yet to read them, but I have heard excellent, fun things. Anyway, the reason I'm talking about Gina is because she has a new book publishing soon (well, early next year)! Hellhole! And it has a trailer, which I am going to show you...very shortly! Welcome, devils and demons, to Hellhole. Gina Damico grew up under four feet of snow in Syracuse, New York. She received a degree in theater and sociology from Boston College, and she has since worked as a tour guide, transcriptionist, theater house manager, scenic artist, movie extra, office troll, retail monkey, yarn hawker and breadmonger. 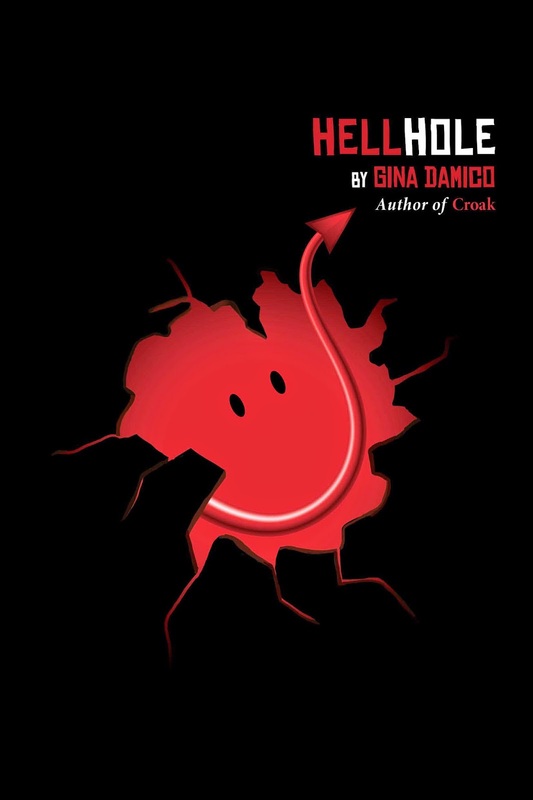 She is the author of the grim-reapers-gone-wild books of the Croak trilogy (Croak, Scorch, and Rogue), published by Houghton Mifflin Harcourt, and the upcoming Hellhole (January 2015). She lives in Western Massachusetts with her husband, two cats, one dog, and while she has never visited hell in person, she has spent countless waking hours at the Albany Regional Bus Terminal, which is pretty darn close.